Can we please discuss the top and right padding for [titlebar] window buttons? All versions of Windows don't have it whatsoever. A lot of popular XFCE/KDE windows manager themes also don't have it. What's the reason Firefox has it? 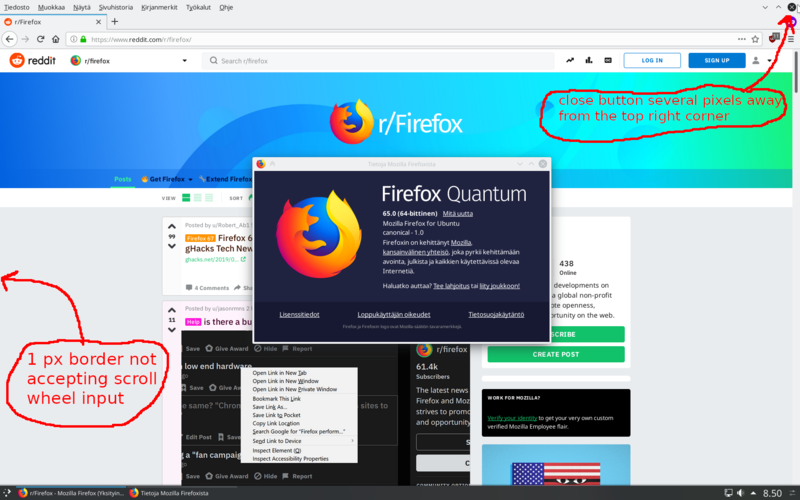 Currently you cannot blindly move the mouse cursor to the top right corner and close Firefox which works for all other applications here in Windows/XFCE/KDE. If Mozilla UX designers believe the padding is necessary, please give us an option to remove it completely. This has been happening on KDE Neon user edition since CSD in Firefox came available, I think. It's quite annoying as one can't just swipe the mouse to the up right corner to close, like in any other Windows or Linux desktop environments I have used.